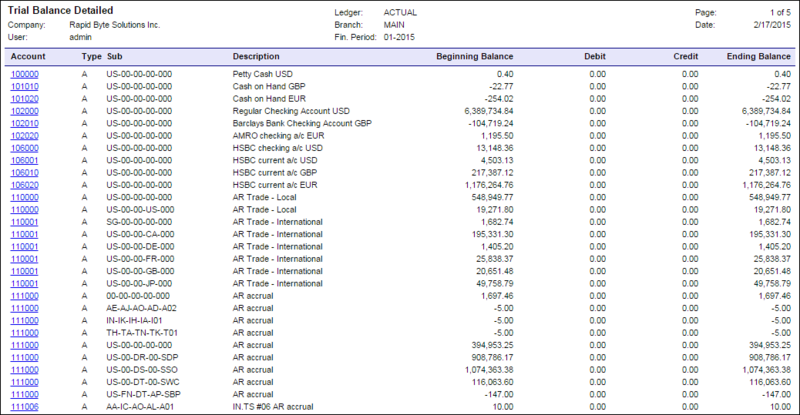 The Trial Balance Detailed (GL632500) report in Acumatica is very similar to the Trial Balance Summary report that we looked at last week (click here), but with one additional column added. The main difference is that the Trial Balance Detailed report shows a separate row for each Account/Subaccount combination whereas the Trial Balance Summary report only shows a separate row for each Account. Bottom line, the Trial Balance Detailed report is more, um, DETAILED. 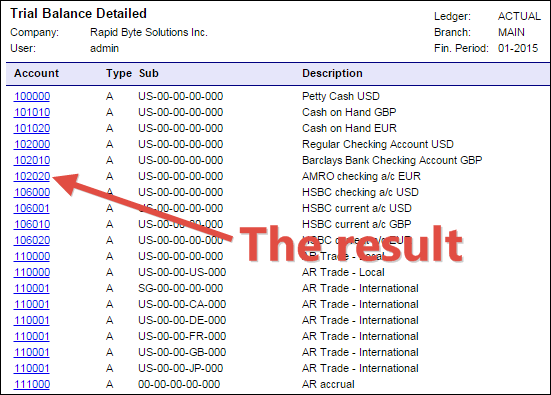 Even the Account hyperlink field functions the same as it does in the Trial Balance Summary report by taking you directly to the Account Details (GL404000) generic inquiry screen. The only difference is that it pre-populates both the Account and Subaccount fields instead of just the Account field. 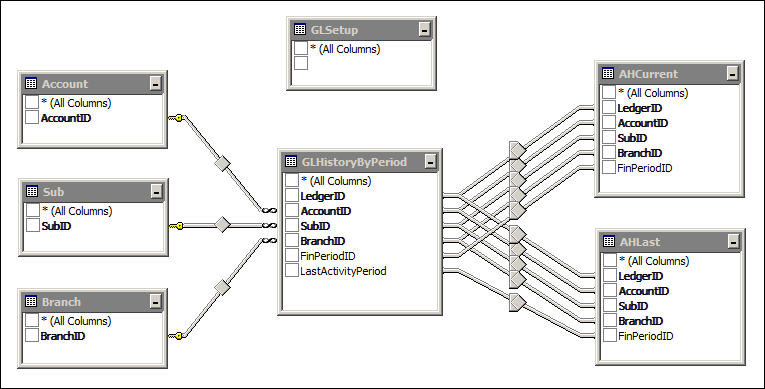 When you leave the Subaccount field blank in the destination generic inquiry screen, it shows all subaccounts for the Account selected. Here is a snapshot of the filters that are being used in the report. You guessed it, they’re the same as the Trial Balance Summary report from last week. The same additional notes from last week (click here) also apply to this report. I forgot to point out last week how they achieve getting the blue hyperlink under each account which takes you directly to the Account Details (GL404000) generic inquiry screen for that account. 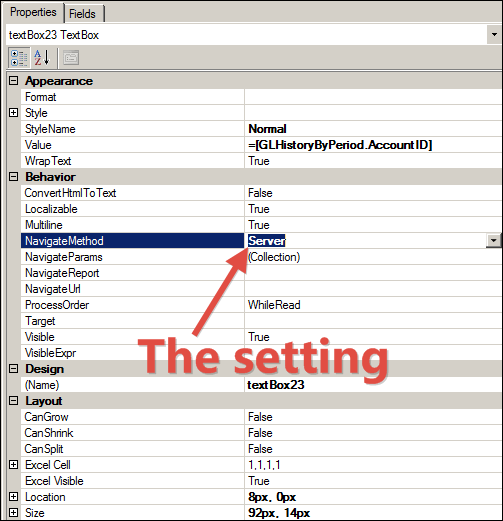 All you have to do is set the NavigateMethod to Server instead of Client. This is a great example of one of the benefits of using an embedded report writer like Acumatica Report Designer because it has built-in intelligence like knowing how to navigate to an account.